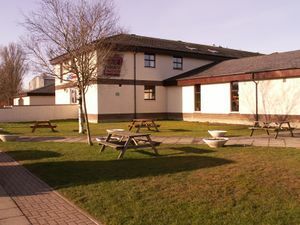 Carnforth is a popular, independent truckstop located at the end of the spur road off the M6. The site is signposted as a service area from the M6 and along the A601(M). It is the last remaining part of the larger Truckhaven business, which provided a number of truckstop facilities across the UK. The Carnforth site is now independent. First two hours free for all vehicles. 250 Overnight HGV parking spaces are available at a charge of £10 per night.